Apple unveiled some of its 70 new emojis on Monday that will be available with the next update. The sneak peek comes just a day before World Emoji Day on Tuesday, a holiday that a four-year-old holiday which celebrates emojis. New emojis include those with new hairstyles and hair colors, such as red, gray, bald, and curly hair. The new hair colors and hairstyles will not be available for every existing emoji, which may disappoint some users. There will also be new smiley faces including a party face, one with pleading eyes, a cold face with icicles hanging off of it, and a triple heart smiley. New superhero characters will make their debut with the upcoming free update as well. New animal emojis will also make an appearance. You'll be able to choose from a parrot, kangaroo, lobster, peacock, llama, and more. There will also be additional foods represented, from cupcakes to mooncake for those with a sweet tooth, to lettuce and mango for the more nutritiously-inclined. Symbols joining the lineup include the infinity symbol and Nazar amulet. You'll also find more emojis representing different sports and hobbies. 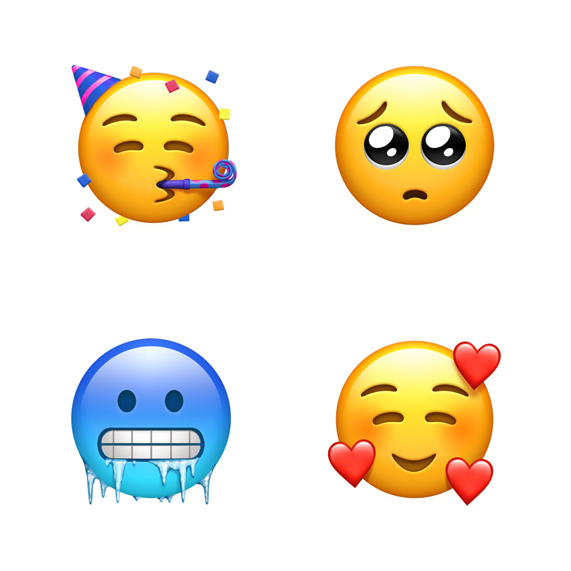 Jeremy Burge, the creator of World Emoji Day and founder of Emojipedia, said, "As always, some of the most vocal requests for new emojis are about representation, and this update delivers some of the most common requests. In particular, the redheads and curly haired options are likely to be popular." 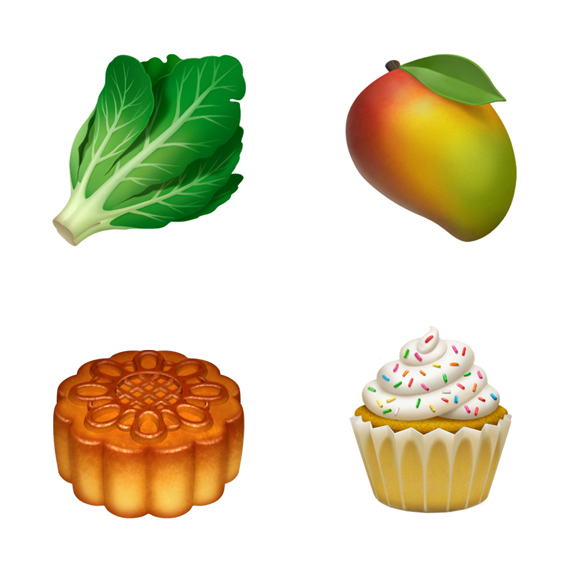 The Unicode Consortium, a non-profit that helps to standardize emojis, first announced new emojis in February. Each company, such as Google and Apple, then chooses options from the master list and creates their own version of the emojis they want to roll out. The new iOS emojis will be available with the free update this fall.